Da Capo Lifelong Books, 9780201567649, 272pp. 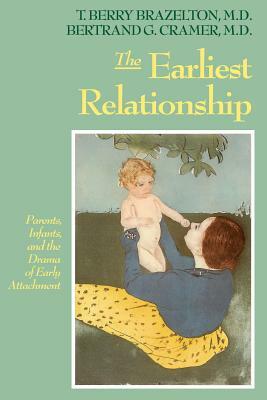 The world-renowned pediatrician, T. Berry Brazelton, and Bertrand G. Cramer, psychoanalyst and pioneer in infant psychiatry, have combined lifetimes of research and practice to write the definitive work on early parent/child relationships. Praised and welcomed by all those who work with new parents--pediatricians, nurses, psychologists, psychiatrists, and social workers--the book will be a valuable resource for concerned and curious parents. T. Berry Brazelton, M.D., founder of the Child Development Unit at Children's Hospital Boston, was Clinical Professor of Pediatrics Emeritus at Harvard Medical School and Professor of Pediatrics and Human Development at Brown University. He was a famed advocate for children, and his many other internationally acclaimed books for parents include To Listen to a Child, Infants and Mothers, and, with Stanley I. Greenspan, M.D., The Irreducible Needs of Children. Bertrand G. Cramer, M.D., is professor of psychiatry at the University of Geneva, Switzerland.